Disclosure: The prize will be provided by My Baby’s Heartbeat Bear line. These are TOO adorable! Sorry, I’m getting ahead of myself. My Baby’s Heartbeat Bear line offers adorable plush toys that have a special twist – they hold a recording of your little one’s heartbeat from your ultrasound exam! Isn’t that an awesome idea? Created by a Registered Diagnostic Medical Sonographer specializing in OB/GYN for her patients, these Heartbeat Animals from My Baby’s Heartbeat Bear line preserve a special memory for parents and children. 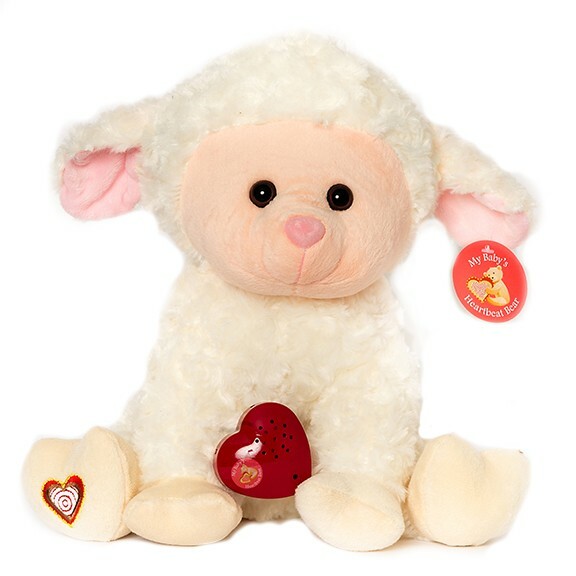 The unique kit consists of an adorable stuffed animal (choose from several winsome creatures) and a 20-second red heart battery recorder that captures the sound of your baby’s heartbeat during your next ultrasound. Oh! This would be kinda a cool way to announce to grandparents, wouldn’t it? Could you imagine grandma receiving this in the mail and wondering why? With a choice of sixteen different animals, the most difficult decision about this product is which one to choose! I suppose you could have more than one *smile*. Are you expecting? Are you looking for a gift for someone who is going to have a baby? I think a gift from the My Baby’s Heartbeat Bear line is a fantastic choice! You know, Kelly’s Lucky You is about things that make you say, “I’m lucky I found that!” and this product qualifies, for sure. Even if you’ve already had your ultrasound and recorded the heartbeat on your phone, it can be transferred to one of these adorable stuffed animals. 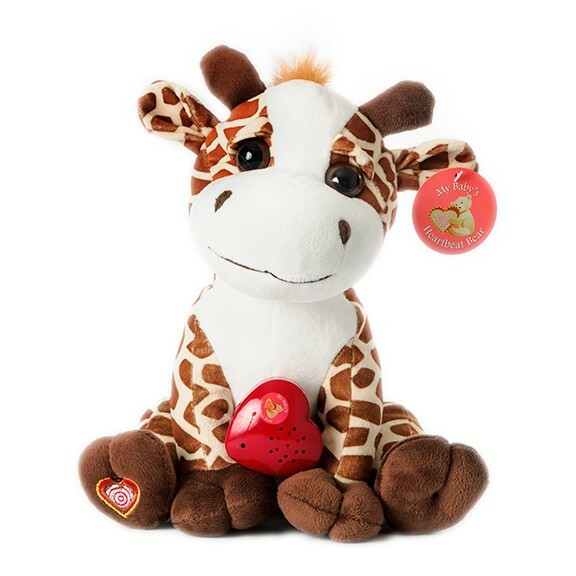 One lucky KLY reader is going to win an animal from the My Baby’s Heartbeat Bear line! Enter in the Rafflecopter form below and good luck! My favorite is the lamb. I would like to save it for my DIL. My daughter is expecting in March, so this would go for the baby girl Anastasia her name will be. I love the monkey!! It is so cute! I would give this to my cousin who is expecting in June! My favorite one is the lil lamb. This would be awesome for my daughter as she is pregnant right now. The puppy is my favorite and the one I would pick out for my niece who is expecting her first baby in June. I love the lamb! So adorable! My second grandchild who is on the way. The elephant is my favorite. I like the Tan Owl the best. This is really neat. My favorite is the elephant.! This would be for my daughter who is due on April 12th! Oh my favorite I think would be the PANDA BEAR! They are all so cute! Oh I would give this to the new grandbaby I have on the way! We are expecting our first so this would be for our baby to be! The Puppy is the cutest! My favorite is the hippo. I’d love it since i’m expecting.